This statistic shows the results of a survey on the shopping behavior of German consumers from 2012 to 2016. 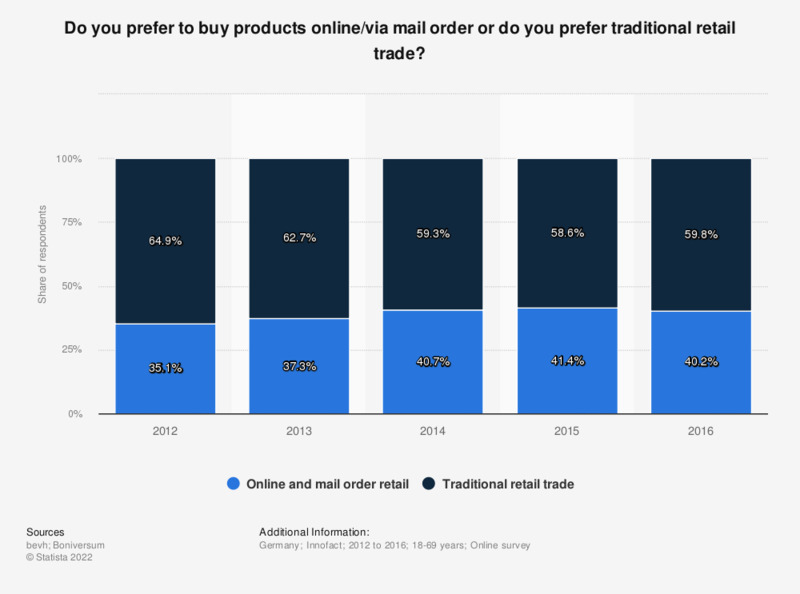 Consumers were asked whether they rather purchased products online and via mail order or if they preferred traditional over-the-counter retail. In 2016, roughly 40.2 percent of respondents stated that they preferred online and mail order retail. The number of respondents may differ in previous years.